1. Emergency Car Lighting and Communication: It is very common for the battery back-up-system (which is used for elevator cab lighting and the emergency bell) to go bad. Pride & Service mechanics are required to check the battery backup system twice per year and notify the customer if the system is not working. 2. Emergency Phones: Emergency phones are required to function. You can do a simple test by pushing the call button (or picking up the receiver) to verify that there is someone on the other end capable of taking appropriate action in case of an emergency. All new elevators require a phone and it must be of the “hands free” ADA type. It is very common for building owners or property managers to mistakenly cancel service on the elevator phone line as the years go on because they are not aware what the phone line is for. We recommend that this number be well documented in your office. 3. Monthly Fire Service Maintenance Log: A monthly test of the fire service function is required where an elevator is provided with fire service. A log of the the test results is required to be in the elevator machine room. The monthly test can be performed by a properly trained individual in the building. Fire service is very important in emergency situations because lives of first responders and occupants are at stake. Testing by qualified persons should be a priority and logs should be completely filled out monthly. 4. Door Restrictions: Elevators installed or substantially modernized under the 1984 or later elevator code are required to have restrictions installed on the car doors to prevent opening when the elevator is not at a landing. This equipment is required to be installed by a qualified elevator mechanic. These devices can be difficult to maintain, however they can save lives and should never be disabled. 5. Machine Room Fire Extinguisher: The machine room is required to have an ABC type fire extinguisher located in the machine and the tag must be current. Make sure to give Pride and Service Elevator a call if you have any questions about your regular elevator inspections and how to avoid fines. Here at Pride and Service, we take the concerns of our customers very seriously. Anytime our customers have questions regarding their elevators, we like to provide an answer and a solution. 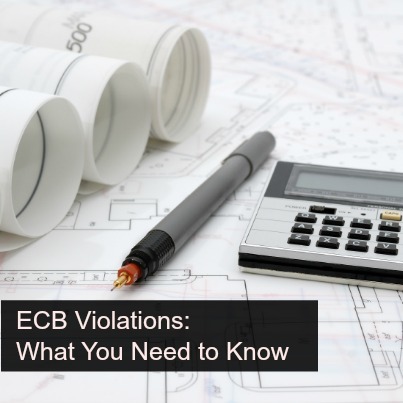 Recently, we have been getting a lot of phone calls from customers asking about ECB violations: why they are receiving them and how can they solve the problem. ECB stands for Environmental Control Board Violation. This violation is issued by the Department of Buildings when a property does not comply with a part of the New York City Construction codes and or Zoning Resolution. There are three classes of Department of Buildings ECB Violations: Class 1 (immediately hazardous), Class 2 (major) and class 3 (lesser). If you receive a Class 1 violation, you must immediately correct the violating condition and certify correction. Failure to certify correction will result in the issuance of a DOB violation with a $1,500 civil penalty. Please click here for more information about ECB hearings and penalties. Please click here for more information about ECB in general. Elevators safely transport millions of people every day. While accidents don’t happen very often – they can happen, and they most definitely can be avoided. Here are Pride and Service, one of our main goals is to educate our customers about elevator safety and how to prevent unnecessary accidents. Before getting on the elevator, know your destination and push the down or up button once and make sure to stand aside for exiting passengers. Use care when entering and exiting always look down to make sure the elevator is level with the landing floor to avoid tripping. Be aware of the closing elevator doors. Do not force any objects and materials into the elevator car. Do not continuously hold or block the elevator doors from closing. 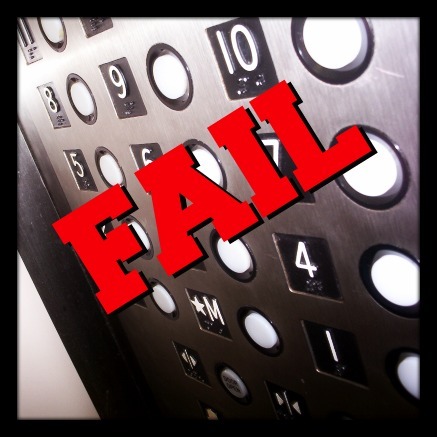 NEVER try to exit a “stuck” elevator unless you are instructed by an elevator mechanic. Remain calm and use the in-car emergency devices (telephone or alarm bell). Never use an elevator if the is a building fire. Use the stairs. Elevator cable ropes are made from several lengths of steel material wound around one another. One cable can support the weight of the elevator car on its own. Elevators are typically built with four to eight ropes. In the unlikely event that one of the ropes snaps, the rest will hold the elevator up. Even if all of the ropes were to break, it is unlikely that an elevator car would fall to the bottom of the shaft. Roped elevator cars have built-in braking systems, or safeties, that grab onto the rail when the car moves too fast. 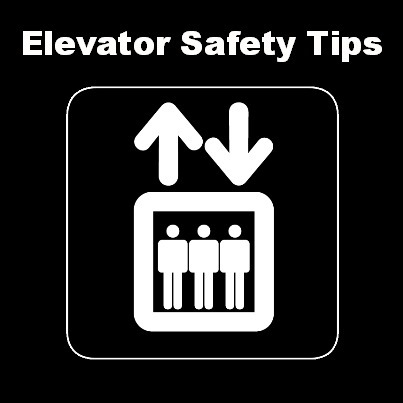 Elevators have several different safety features to prevent the car from falling to the bottom of the shaft. Safety features installed on the car can prevent this type of accident from occurring when the machine brake fails or the cables suspending the car break. If one of your elevators shuts down, there are steps you can take to reduce the time it’s out of order and possibly avoid paying for the cost of a service call. Authorized personnel such as management, maintenance workers, or security should have access to an emergency elevator door key and the keys used to access the elevator machine room. Before placing a service call, try following these steps. Check to see if there is a passenger trapped in the elevator. Make sure you have full power in the building. Check for tripped circuit breakers and blown fuses in the meter room. Check the door sills for any debris that may prevent the door from closing or fully opening. Be sure that the door protection devices such as mechanical safety edge, electric photo eyes, or an infrared light curtain are not obstructed. Check to see if the run/stop switch, located in the car station, is in the normal “run” position. Verify that all other operating key switches such as independent service, inspection or access are in the “off” position. For Hydraulic elevator: if the elevator has not been in use or the temperature has dropped, run the car to the top floor several times. This will allow the oil to heat up and will ensure better performance. Ride the elevator periodically and pay attention to its operation. Ride the elevator to each floor and check to see if it stops level with the floor. A slight difference could cause someone to trip and fall. Vacuum the door track grooves to help prevent debris from jamming the doors. When cleaning in the vicinity of the elevators, when using water, use CAUTION not to allow water to come in contact with any elevator equipment. Damage from water to the equipment can occur immediately or later, which will result in unnecessary costs to the building. Do not use the elevator machine room for storage. Keep the elevator machine room closed and locked and allow only authorized personnel to enter. Fire extinguishers should be annually inspected and tagged. Make sure the elevator machine room is kept at the correct temperature. Gently push buttons, do not hit, pound or kick elevator call buttons, this will damage the internal components and can cause the elevator to shut down. Do not push or pull the elevator doors open or closed, doing so can damage the equipment. If the elevator seems to be operating in an unsafe manner be sure that nobody uses the elevator and report it to Pride and Service immediately. As always, we are here to answer any questions that you have. Contact us today for more information.